Gwen Cooper and Rhys Williams are on the run from a cataclysm. They’re the only survivors, and they’re driving away from the disaster as fast as they can. They’ve got to get away, they’ve got to warn the authorities, and they just can’t be late for the babysitter, again. Dim problem. After all, they’re Torchwood and they always get out alive. But this time there’s something in the car with them. Isn’t there? This is actually a difficult audio to review, it’s an absolute joy to listen to. But, I really don’t want to reveal too much about the storyline. We always get out alive, is another example of perfect synergy between writer and director. Guy Adams and Scott Handcock have crafted an imaginative story, which in lesser hands could’ve been very boring. 98% of it is just Rhys and Gwen sitting in a car, but it’s gripping and epic-but at the same time keeping it a small, intimate story. This is strong character driven piece, in which we get to know more about Gwen and Rhys’ family life. 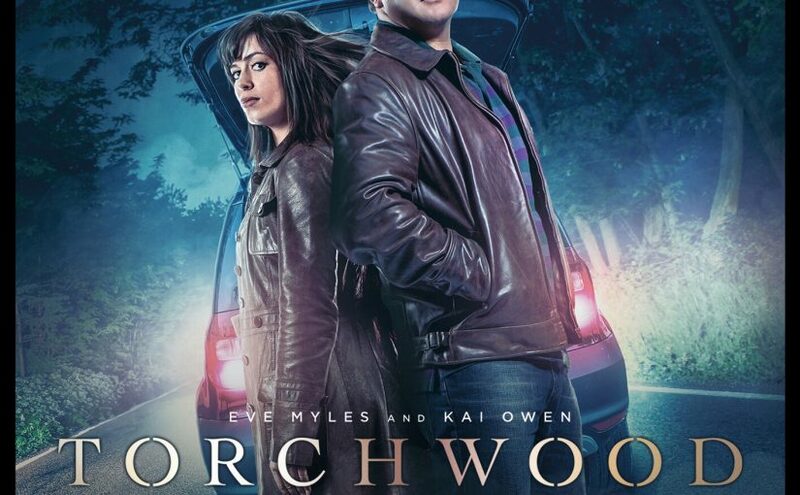 Guy Adams truly delivers here, he uses the natural chemistry between Eve Myles and Kai Owen, the constrictive nature of being in a car and, the medium of audio, to the stories full advantage. Once more the monthly Torchwood range delivers, this is a must-listen.